As a worldwide H.O.G. member, you and your riding partner may now wish to join the Darling Downs Chapter. First registered on 1st January, 1990, and celebrating 28 years in 2018, the DARLING DOWNS chapter of the Harley Owners Group, welcomes members, guests and new members to be part of the Worlds’ largest social club. Based out of Toowoomba, with Darling Downs Harley-Davidson as the sponsoring dealer, the region offers a multitude of ride options from open roads to winding scenic ranges. Trip itineraries take advantage of the close proximity of many small towns to include historic country pubs, wineries, museums, gardens, shearing sheds and local attractions. Every official H.O.G. Chapter is sponsored by a Harley-Davidson dealership, so that’s the place to start. 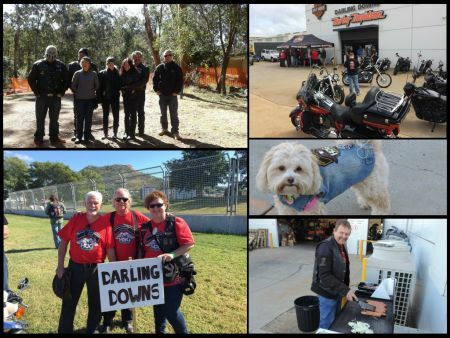 If you are interested in becoming a member, have a chat to the team at Darling Downs Harley-Davidson about coming along to one of our socials, on a ride or attending a meeting. You can also send a query from our contact page and our membership officer will contact you. We can also be found on Team App under Darling Downs H.O.G with all of our upcoming events!